Spain could lay claim to being the most exciting wine country in the world at present. 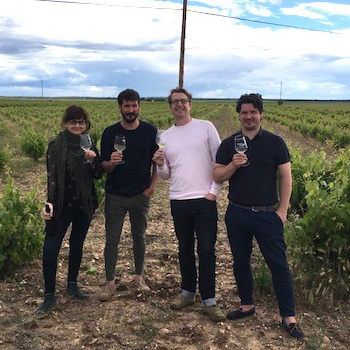 A real sense of adventure has taken grip in the lesser known regions whilst new life has been breathed into the established areas with a new generation of younger winemakers and a new vision of what can be achieved. We are delighted that Jancis Robinson made 2013 BARDA PINOT NOIR Bodega Chacra wine of the week for this past week: '. In these days of concern for our planet and concern for our own inner well-being we are quite used to seeking out cruelty-free meat from reputable butchers, fish from sustainable sources and reassuringly specky fruit and veg from farmers’ markets.